Suppliers of Polycarbonate and accessories all over Australia. Polycarbonate Roofing are suppliers of Polycarbonate sheeting in Sydney. We can supply direct to your door from our Sydney warehouse, or you can collect. If your looking for Suntuf, Laserlite, Sunlite, Makrolon, Sunpal, Sunglaze or just about any polycarbonate product we are able to supply it direct from our Sydney warehouse. Sydney has specific climate conditions and these may influence your choice of polycarbonate roofing. Sydney and surrounding areas enjoy a temperate climate, with mild winters averaging temperatures of 9 degrees and average summer temperatures of around 25 degrees Celsius. Sydney can also be prone to the occasional (though recently more frequent) thunderstorm. Given these conditions, there are a few key considerations when choosing the right polycarbonate product for your area. Summer temperatures are moderate with cooler temps in winter, meaning that you may want to consider choosing a colour that allows a moderate amount of heat to pass through, keeping the polycarbonate covered area warmer in the winter but not too hot during the warm summer months. Keep in mind that there are other factors that will also play a part in the apparent temperature in an area, such as orientation, roof height and shading. Read more about environmental factors to consider when choosing polycarbonate colours here. Twin wall or Multiwall or thicker solid sheets may also provide an advantage by providing increased insulation factor. This can also be helpful in keeping areas cool in summer and warm in winter. Investigate the U-Values of a few of the different products to help you decide on what might be appropriate in your situation. In recent years Sydney has been hit hard with some damaging storms. While all polycarbonates offer great impact resistance, some products will offer more robust solutions than others. Standard profile sheets offer a base line option, thicker profiled sheets a step up while thicker solid sheets will be the most robust. Need polycarbonate products delivered anywhere in Sydney? We can deliver to your door or job site. Or if you would prefer to pick up we have a few Sydney locations that you can collect from. Don’t forget that if you intend to pick up, you will need to be able to handle a length at least as long as you roof. Many of the sheets can be rolled… but they will still be long rolls. We can help with advice on what products are best suited to different situations and give you a quote including delivery to anywhere in Sydney. So what are you waiting for – have a look over the rest of our detailed website, or if you would prefer to talk to someone give us a call to discuss your needs. So Sydney, we’ve got you covered for all your polycarbonate needs. Do you have an outlet or branch in Melbourne. Yes – we do have an outlet in Melbourne… we can arrange for you to collect or to have it delivered from our Melbourne warehouse. Hi. Do you cut to length? Say 2m for example if I wanted 10 sheets x 2 m Suntuf clear corrugated? Yes we can cut sheets to lengths as required. For example 10 x 2m would be cut from 3 x 6m sheets (=9 x 2m) and the last one would be cut/charged at 1 x 2.4m. Do you Ship to Sydney Area ? If so How much is the total cost? We would supply from Sydney warehouse. I have sent you an email with some questions. hi,we need to change the fibreglass sheeting on our pergola,there are 3 sheets,the problem im having is all the sheets im fining are to narrow,they all seem to be,29mm depth,60mm w on the overlap,191mm centre to centre on the large spacing,ours is 45mm deep,95mm W on the overlap,215mm centre to centre on large spacing,would you know where i can get some sheets or have they changed the sizes to this new size now,many thanks if you could help,peter. Thanks for the message. I am not certain that we can help you with this profile. There are many varieties (not all of which are readily stocked). I am in Sydney only this morning, so I hope I can get a reply. I need two x 3mtr lengths of polycarbonate, corrugated roofing sheets. Where could I pick them up from? 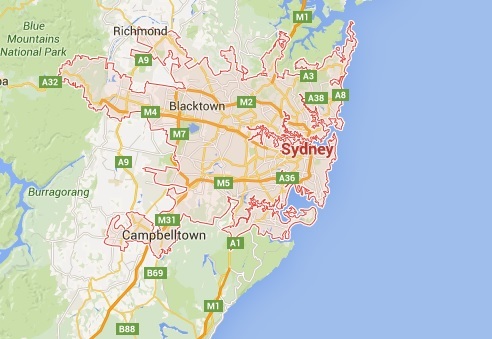 Where is closest to Bondi? Thanks Eric – we contacted you directly. Hi there. I’m replacing the roof overhang/awning at the back of our house. Do you stock the Suntuf Beehive clear sheets? They look like the sort of thing I’m after. I need 7 sheets, of the smallest you have (1.8m?) as I need to cut them down to 1.55m, or could you cut them to 1.55m for me (very happy to pay for the 1.8m sheets, of course!). Thanks. We certainly do – have contacted you directly.